I am often wondering how did my artistic journey started as a child. What did my art look like? My childhood creative products were never saved and I can't remember what my drawing looked like. I can't remember how I felt while drawing except a vague sense of being 'in the moment' and escaping whatever happended around me. I do have a very few pieces that I made when I was a university student but nothing from an earllier age. 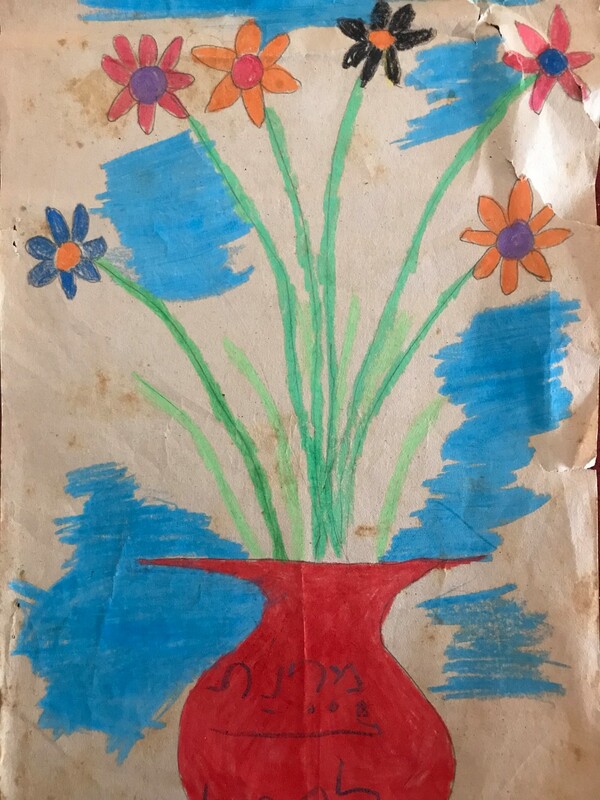 Well, this week, my friend Ilana who grew up with me found this drawing that I apparently made for her grandmother when I was 6 years old. I am so thankful for this small window into myself as a child. I spent some time looking at it. Trying -without much success- to get a feel for that girl who was drawing something from her heart. I wish I could tell you more about that girl...for now all I have is this one drawing to look at.